GALION — On Monday, July 17, the Heart of Ohio Junior Golf Association (HOJGA) had its final tournament of the year at Valley View Golf Course in Galion. HOJGA serves youth ages 9-18 in seven Central Ohio counties: Crawford, Delaware, Hardin, Marion, Morrow, Union and Wyandot. Individual champions were named in three age groups: 12 and younger; 13-15; and 16-18. In the 12 and younger group, Dina Shah of Marion Pleasant won the title, shooting a 46 on a Par 37 nine-hole event. Steven Street of Mount Gilead finished as the runner-up with a final tally of 48. Other placers were: Rayma Smith, Marion Harding (third, 52); Chase Brackenridge of Delaware St.Mary and Thomas Kaufman of River Valley (tied for fourth, 57). Reno Overbaugh of Big Walnut shot a 42 and a 38 for an overall score of 80 to win the 13-15 age group. Overbaugh finished the day with nine pars and two birdies. Runner-up in this age group was Mallory Graham of Mount Gilead, shooting an 82. Minoy Shah of Pleasant was third (87) and Mason Rinehart, also of Pleasant finished fourth (89). Kameron Hall of Harding won the 16-18 age group championship. He shot a 40 and a 33 for a 73 on a par 72 course. Hall finished with five par holes and six birdies. Jed Charpie of Pleasant was the runner-up, shooting a 76. Justin Brackenridge of Fairbanks took third with a 78. Olentangy Liberty’s Robbie Bean shot an 80 to finish fourth. Galion’s Jack McElligott was also in action on Monday and shot an 81 to finish fifth in the 16-18 group. McElligott had two victories this season in HOJGA tournaments, taking the crown at the Sycamore Creek event on July 12 and at Kings Mill on June 15. 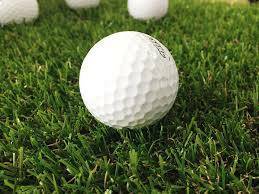 Other local golfers and their results from Monday were: Eli Shultz of Colonel Crawford: 93 (10th, 16-18); Max Longwell of Galion: 101 (ninth, 13-15); Bronson Dalenberg of Galion: 117 (12th, 13-15); Nathan Barre of Galion, 58 (fifth, 12 and younger); Nathan McMullen of Galion; 64 (6th, 12 and younger); and Carson Walker of Galion; 68 (7th, 12 and younger). The association will have it’s season’s year-end awards banquet Thursday, July 27 at Kings Mill Golf Course in Waldo. Golfers must reserve their spot at the banqet by calling 740-389-6207..